Italian cooking from an imaginative chef in a charming Montrose house. : Chef Marco Wiles, born in Italy and raised in the U.S., learned cooking from his aunt during summers spent in northeastern Italy. After he earned his chef stripes in some of Houston’s most celebrated restaurants, he opened his own sunny trattoria in an old house with butter-yellow walls, blonde hardwood floors and a fireplace. 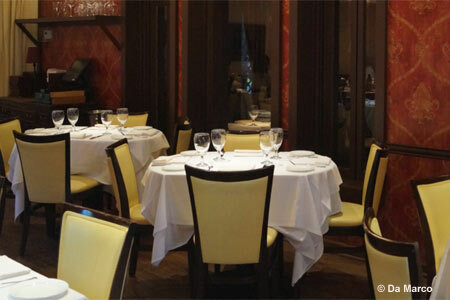 Cozy and romantic, it’s a dining spot of choice for well-heeled Houstonians. We like to start with the branzino carpaccio with pine nuts and foie gras while studying the primi menu. The black truffle risotto (in season) is a smart choice, but fine pizzas are available as well. Secondi can range from a 48-ounce porterhouse for two to calf’s liver with polenta or Colorado lamb chops with a hint of cumin yogurt. There are hundreds of Italian and French wines to pair with your meal and a sour cream chocolate torte to finish.